Join us to hear from three practitioners speak on the subject of Permaculture, enjoy lunch with locally grown food andearn one hour of HSW credit while considering how you might incorporate more resilient practices in site design. profession, the community and the built environment. 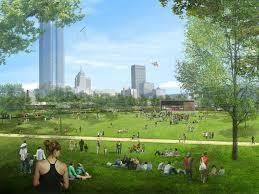 In addition, join us to hear from the experts on Scissortail Park! 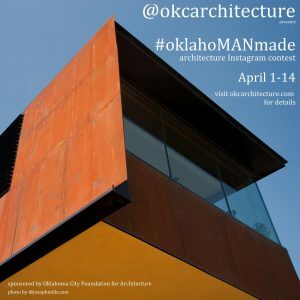 The American Institute of Architects Central Oklahoma Chapter will host the 18th annual Architectural Tour on Saturday, April 13, 2019 from 12:00 – 5:00 p.m. 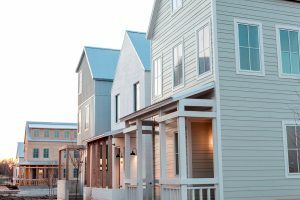 This self-guided tour includes architectural destinations such as residential homes and commercial buildings that allow participants to experience great architectural design in Oklahoma City. >>CLICK HERE>> for this year’s tour information! 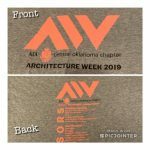 Purchase your Architecture Week Shirt!